Want to learn more about Jostle's development process and how we implement new features? Well, here's a little peek behind the curtains. Jostle follows a kanban-driven, lean development process that involves short development “sprints”. That means we develop new features in an incremental way, first delivering a “minimum viable” version, and then improving it step-by-step based on user feedback. “Minimum viable” means the leanest version of something that is functional and brings value to a user. Often the first version of a feature has enhancements that are obviously missing, but is still fully functional in its basic form. This sprint-based development also allows us to update our production software frequently — normally once every two weeks. This is nice for users because things continually evolve, getting better and better, without any huge step changes to digest. It also helps us fix bugs quickly. You can see our track record for frequent production releases by checking our Release Notes. Because of this small-step approach, we normally release new features to all users at the same time. For large new things (where the minimum viable version is in itself a big step for an individual user) we work with a few lead customers during the design process and then we beta test the first release with just them. 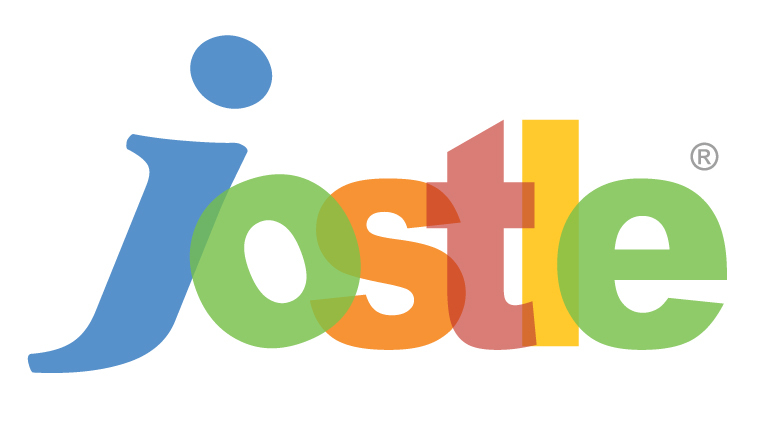 Our long-term vision for how Jostle will continue to evolve is complete and clear. We know where we are headed and how these changes will create even more amazing workplaces. But we do not plan out the detailed sequence. We know which sprints we are working on now, and we know which ones are on deck. Decisions on which sprints move on deck next are made at weekly kanban meetings, as development resources come available. For items that have not reached on deck status, we do not have a clear idea of when they will arrive. The “what’s next” decision is highly influenced by what we think brings the most value to our collective customer base. Making suggestions in our Feature requests forum is the best way to get your ideas on our roadmap. Suggestions that get more upvotes from other customers are much more likely to be developed sooner than others. Sprints get bundled into “builds” which then go through extensive manual and automated testing before release. If problems are found with one new feature, then all the other new features in that build get delayed while we solve the problem and test further. Even with this extensive testing, bugs are inevitable. Often these are specific to an exact set of user steps in combination with a particular browser/operating system environment. If you spot a problem, please take a few minutes to see if you can make it happen again and then report the details to us (click on “?” bottom left on your Jostle interface and then select “Help” and click on “Report a bug”). 5 Steps to get Jostling!